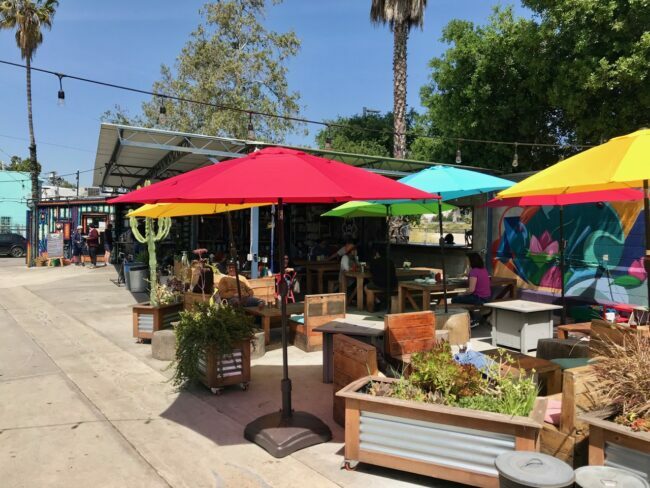 Being a native Angeleno I thought I knew just about every nook and cranny of the city, but while walking the dogs, a neighbor told us about having a great breakfast at a place called Spoke Bicycle cafe in “Frogtown.” I was perplexed. Google, being one of my best friends, became the source of some riveting information about this area. However, since this part of town is located near downtown Los Angeles, it would only be a matter of time before gentrification would come this way. (So gentrified, that a condo project going up next to Spoke has a sign that says, “STARTING at $800,000”). 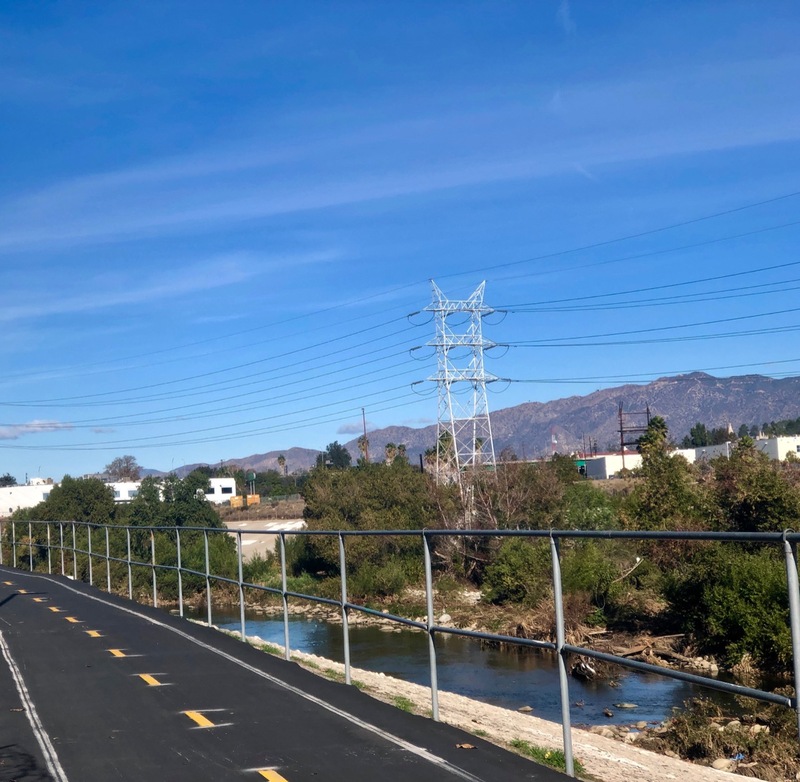 … and an extension of the northern section of the Los Angeles River Bike Path, which runs adjacent to Spoke Bicycle Cafe. 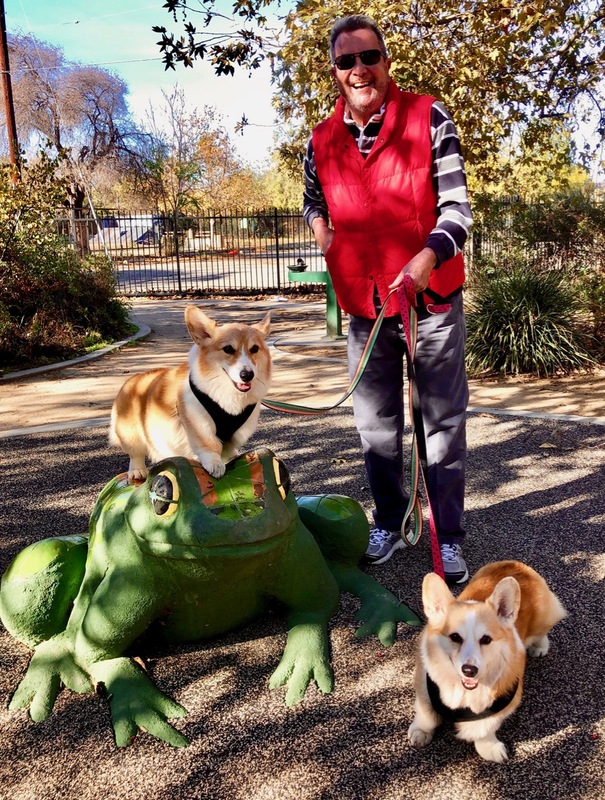 Tracy and I, along with corgis Frankie and Remi, decided to try out Spoke one Sunday morning (the dogs are always up for a new adventure). 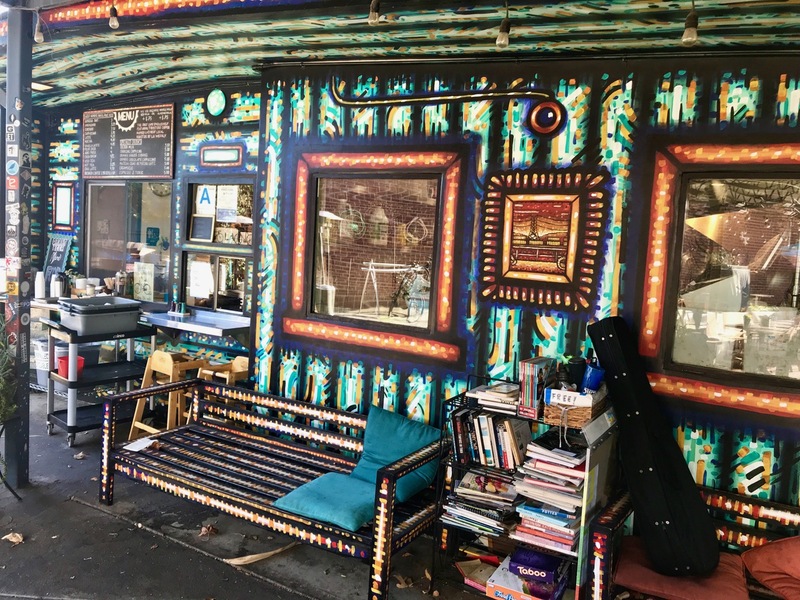 We drove the streets of Frogtown with its small houses and found parking on the street near the restaurant and walked into the patio dining area. 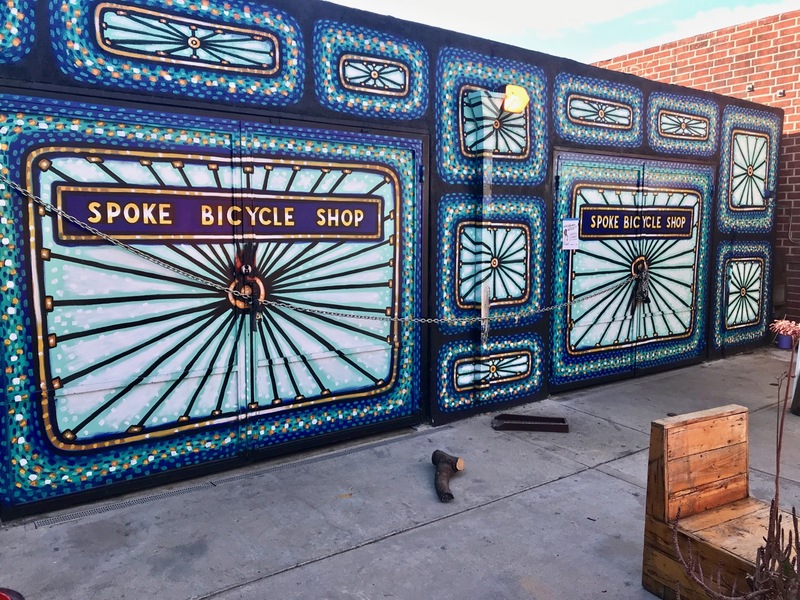 When Spoke opened in 2015, it was a combination bike shop and spot to get some coffee or other beverages. 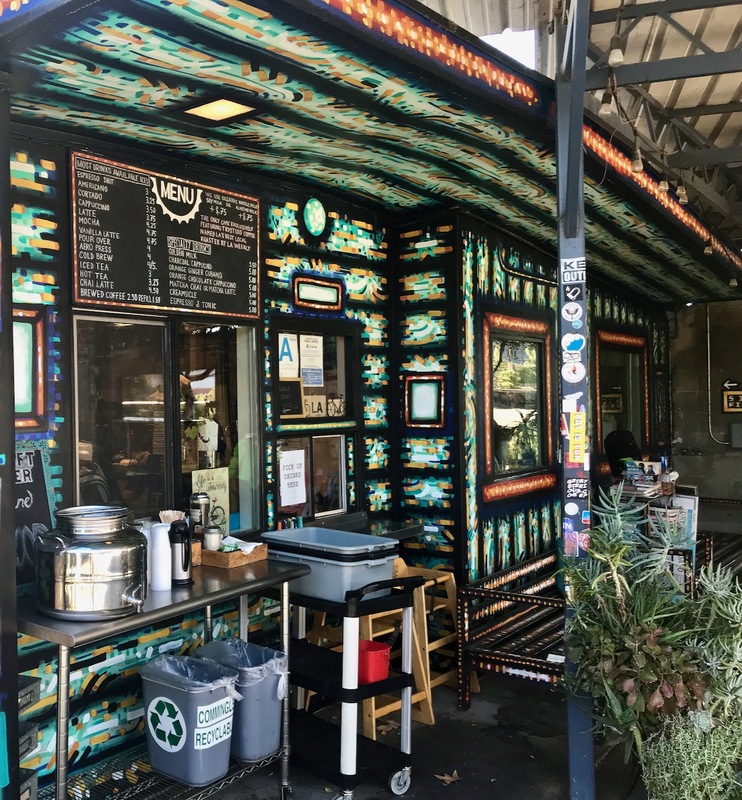 However, in 2017 the eatery upped its game and now serves a killer breakfast and lunch. 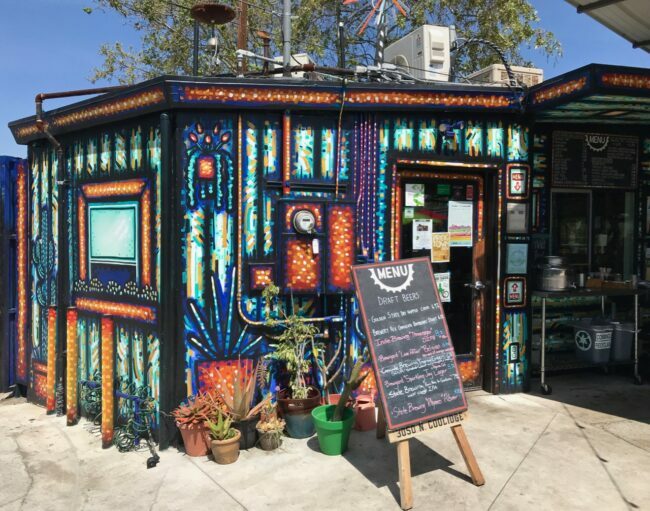 We know that because we have eaten here a couple of times since our initial visit. 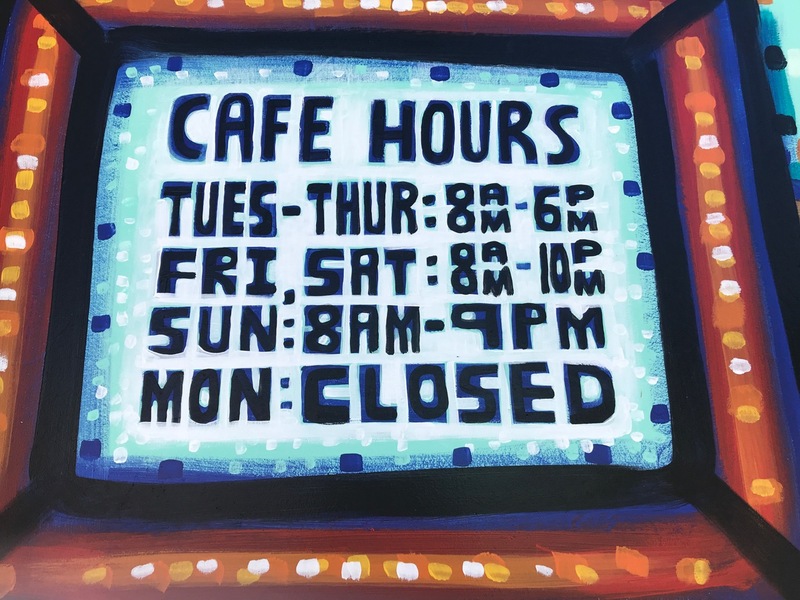 You order your food inside, are given a number for your table, and the food is brought out to you. And so far, the food we have had here is very, very good. 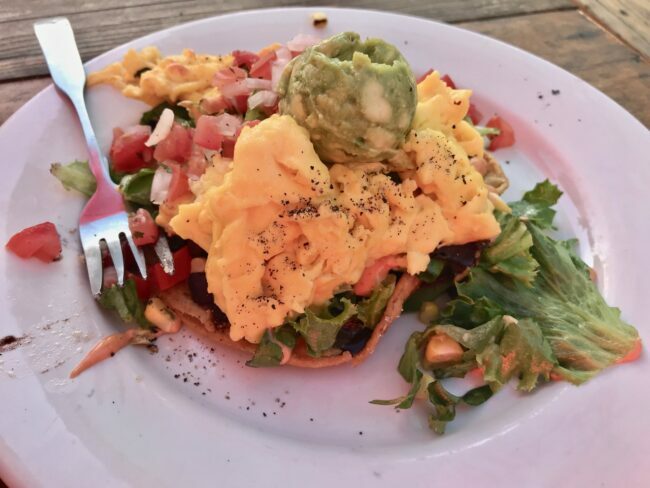 On that first visit, I had the breakfast tostada with roasted rosemary potatoes; two stone-ground corn tortillas topped with refried black beans, greens, two scrambled eggs or tofu, pico de gallo, avocado mash, chipotle sauce ($12). It was a knock-out. 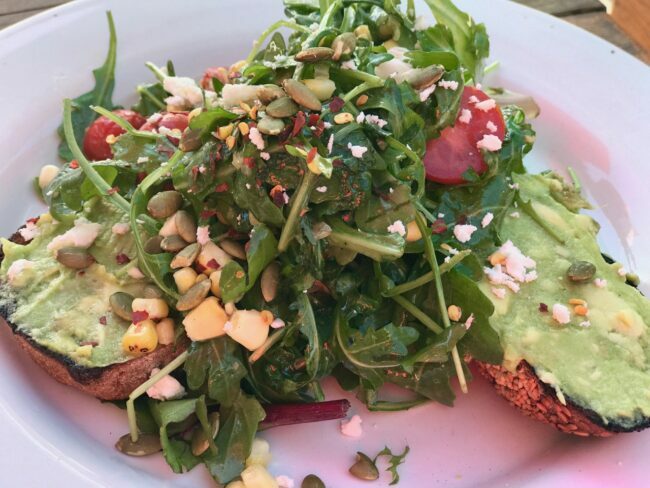 Tracy tried the avocado toast; avocado mash, lemony arugula, fire-roasted corn, heirloom cherry tomatoes, feta cheese, pepitas, and red pepper flakes ($8.50) which was served on what she thought was the best bread she has ever tasted. 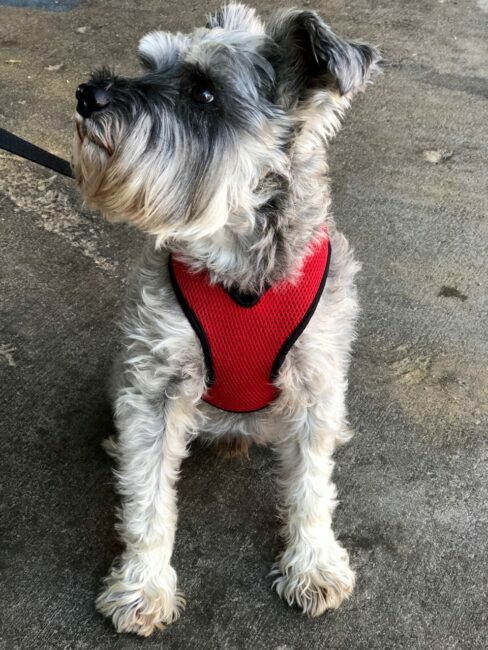 She also said it was the best avocado toast she’d ever had (full disclosure: it was the first avocado toast she’d ever had). Tracy has ordered avocado toast at other places since our visit, and she still contends this is the best one. You never forget your first avocado toast. 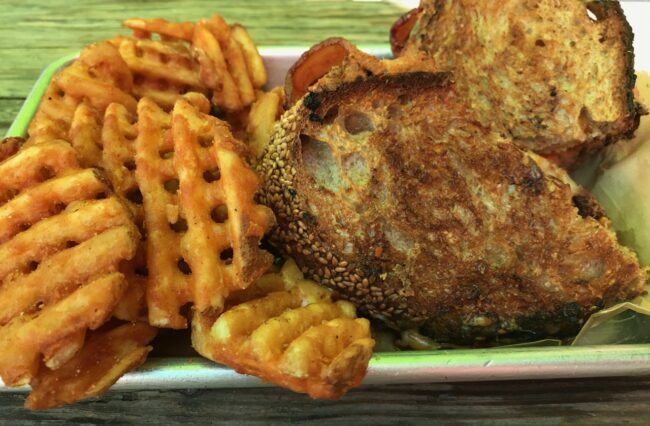 The incredible bread is from Bub & Grandma’s which makes bread for many of our favorite restaurants in LA. 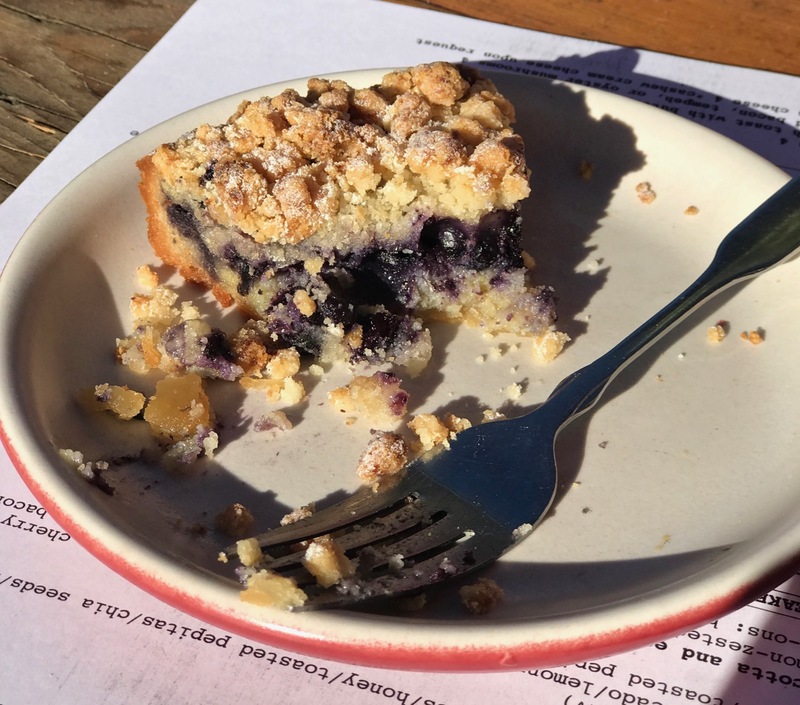 We started our morning with a slice of the blueberry pie, which was pretty tasty too. I am sometimes amazed at the quantity of food we eat. Then again, looking at recent photos, maybe not. 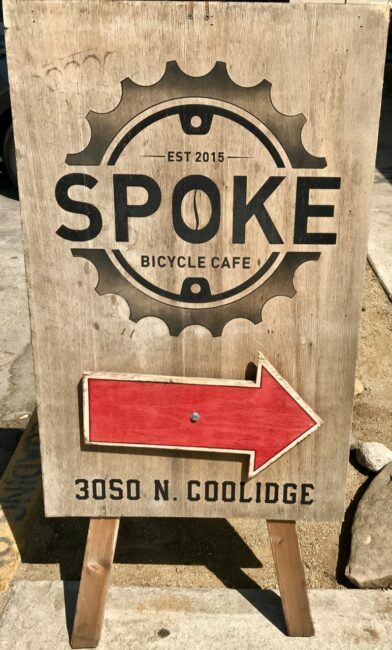 On our second trip to Spoke, we went for lunch. 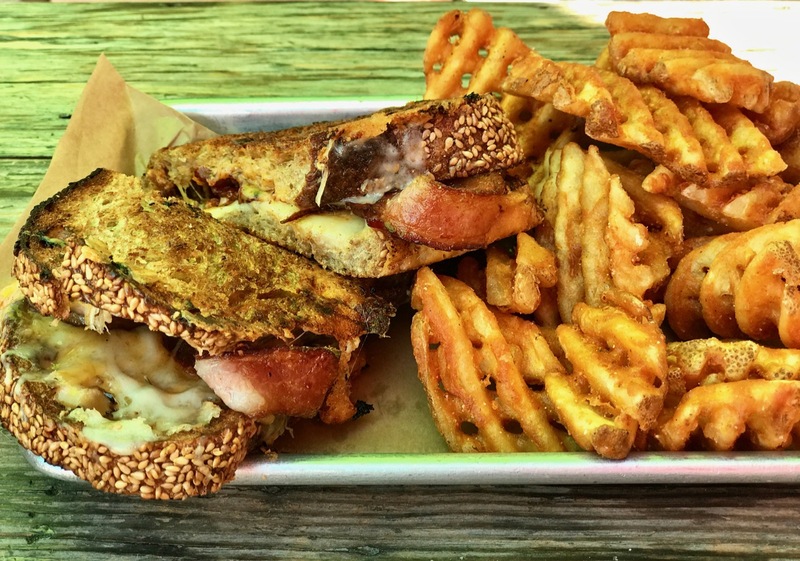 I ordered the Grilled Cheese sandwich with bacon and waffle fries; aged cheddar, provolone, and roasted tomato chutney grilled on toasty sourdough ($8.50). Add-ons included bacon (which I ordered) or tempeh ($3.50). 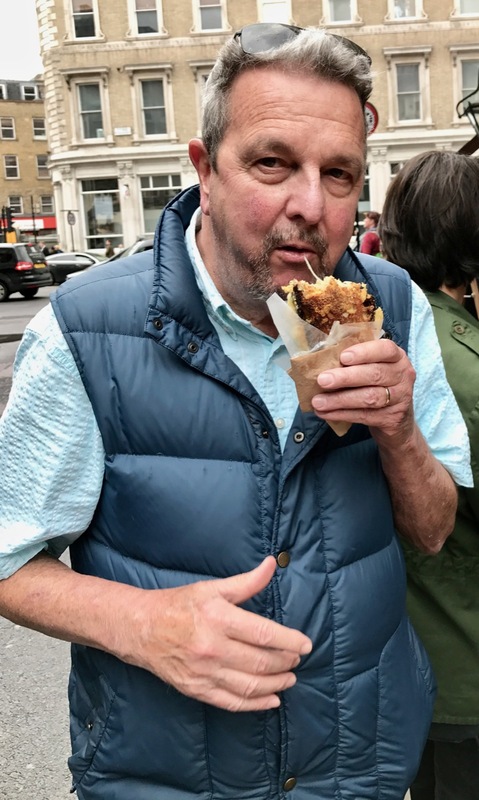 The only other grilled cheese sandwich I had ever tasted that was comparable was the Cheese Toastie at Kappacasein Dairy in London’s Borough Market (photo below). Tracy makes a killer copycat Cheese Toastie (recipe here). Oh, and the waffle fries were out of this world. 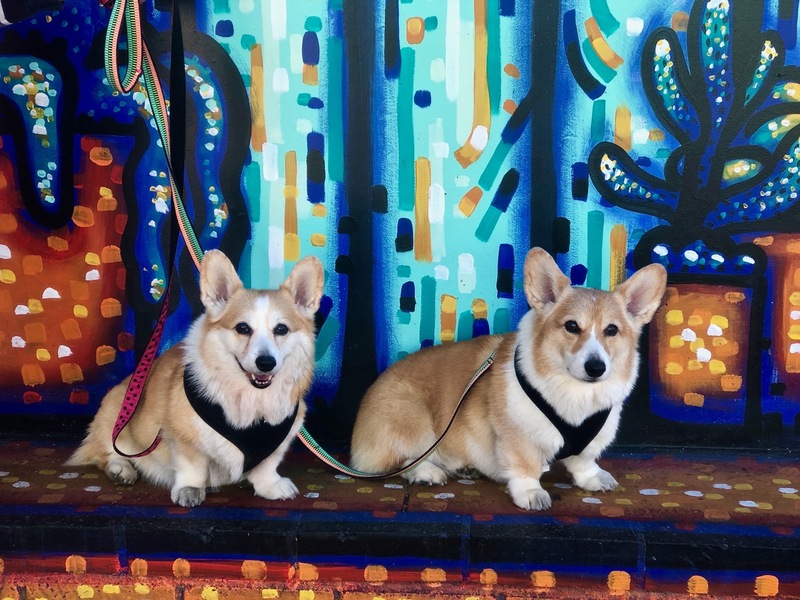 Frankie and Remi gave them eight paws up! 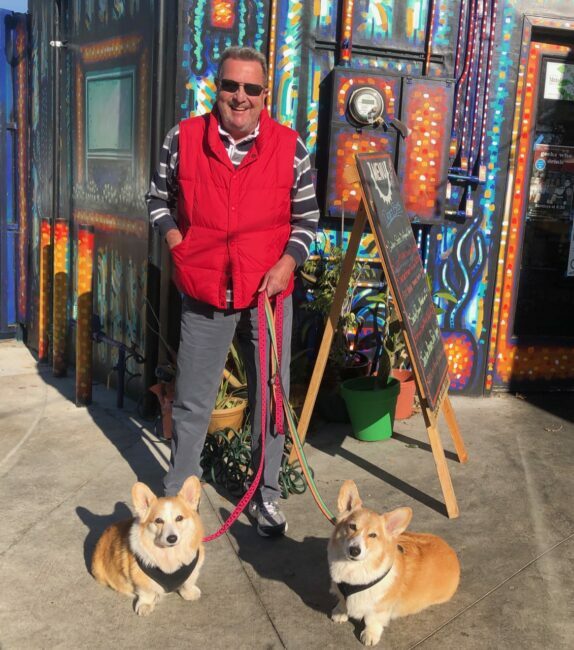 Recently we popped in for breakfast with friends Kim and Mary, along with their dog Fenway (that’s him below asking for one of Mary’s waffle fries … the corgis had called him). 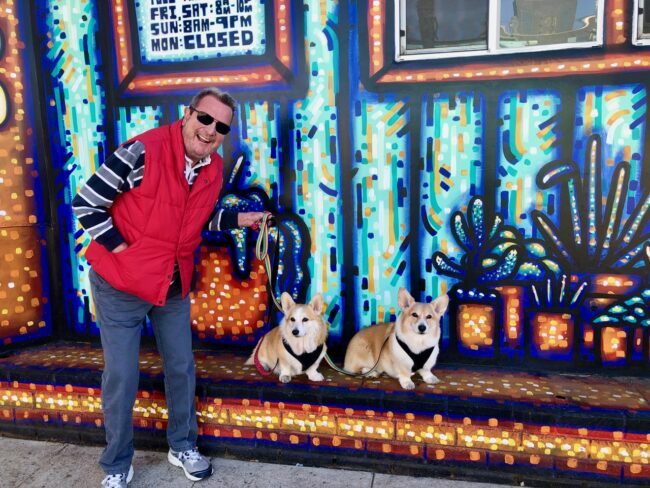 For decibel concerns, the corgis stayed home on this trip. 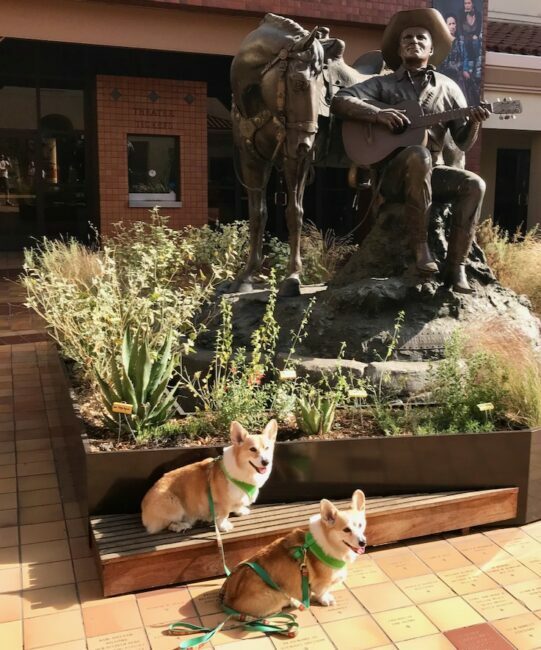 We brought them back some waffle fries. I tried the Breakfast Bun; soft-scrambled egg, bacon or tempeh (I chose bacon), cheese, caramelized onions, and special sauce on a griddled soft bun (($8). I thought it looked small at first, but it certainly filled me up. Lots of perfectly scrambled eggs inside. 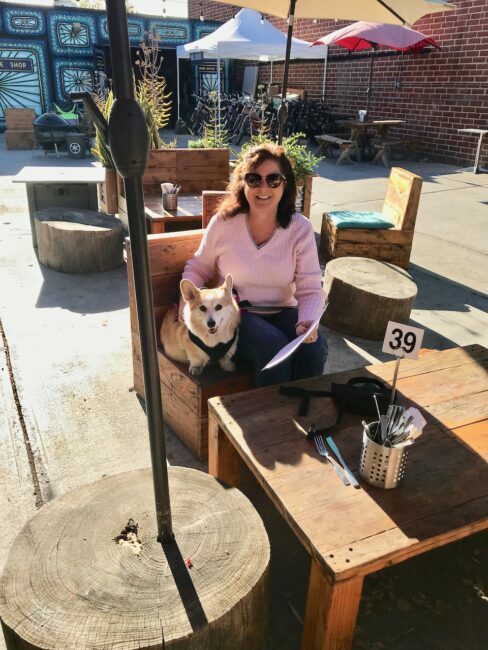 Of course, being the glutton I am, I also ordered a side of their delicious crispy potatoes ($3), which are roasted rosemary potatoes. 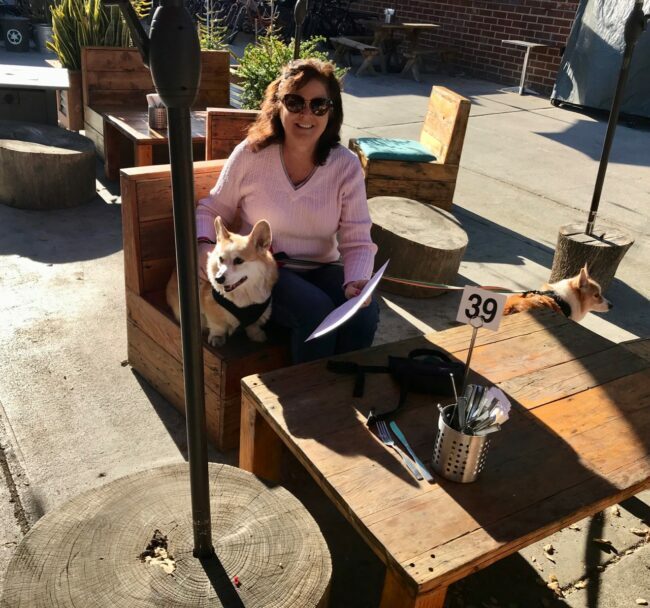 Tracy enjoyed her Classic California BLAT; rustic sourdough, heirloom tomato slices, crisp lettuce, special sauce, avocado, and choice of applewood-smoked bacon, tempeh, or oyster mushrooms ($14). Mary devoured the grilled cheese sandwich, while Kim ordered scrambled eggs, toast, and potatoes; two eggs, buttered rustic sourdough toast, and crispy potatoes ($10). 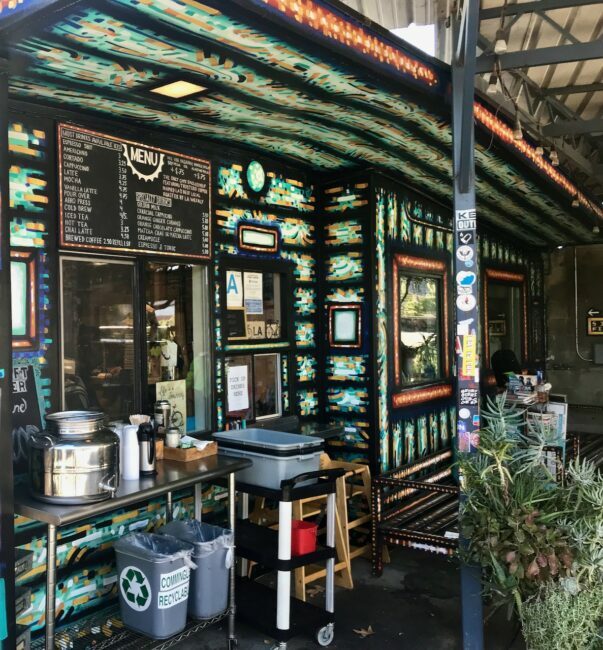 Spoke serves breakfast all day and also has a great selection of sandwiches, salads, bowls, and many vegan options. The hamburger looked great, and I’ll add thoughts on that to this post at a later date (probably soon). 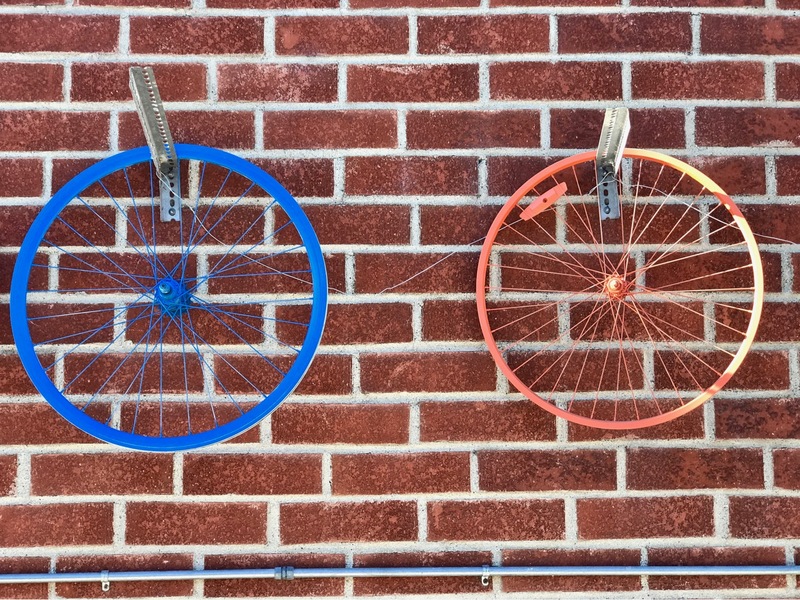 If you are not biking, there is limited street parking but check signs for street cleaning day. Note: Although dogs are allowed on the bike path, we don’t feel very safe with the bikes whizzing by, as there is not much room to move off to the side of the way, so we didn’t walk any further. 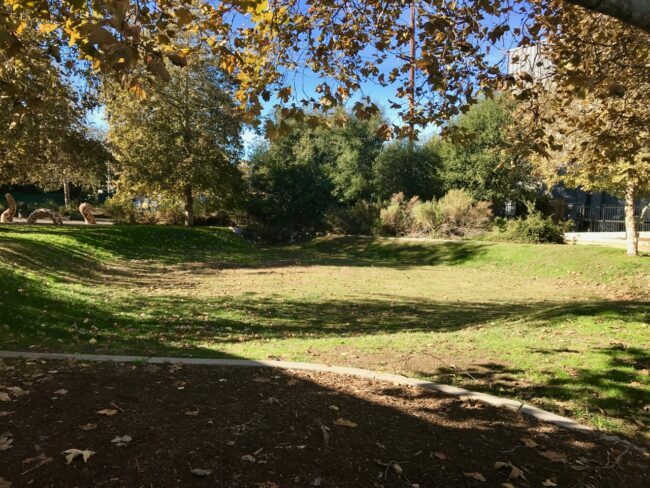 Instead, we sometimes pop over to nearby Griffith Park and walk the three-mile path around the golf course instead (park at the Crystal Springs Picnic area or the other end at the Autry Museum). 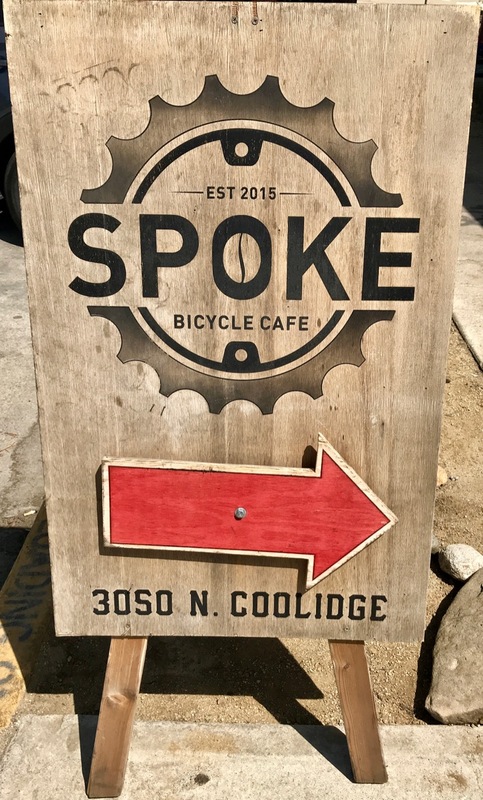 Spoke Bicycle Cafe has now become one of our favorite breakfast and lunch stops in L.A. (stay tuned for more of them in a new section we are creating). 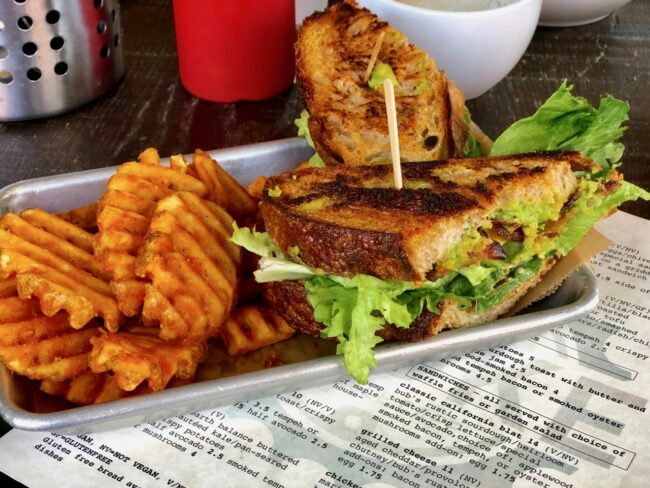 The food is fresh, and every dish has been a winner. I like it so much that I believe I should become their Spoke(s) man! 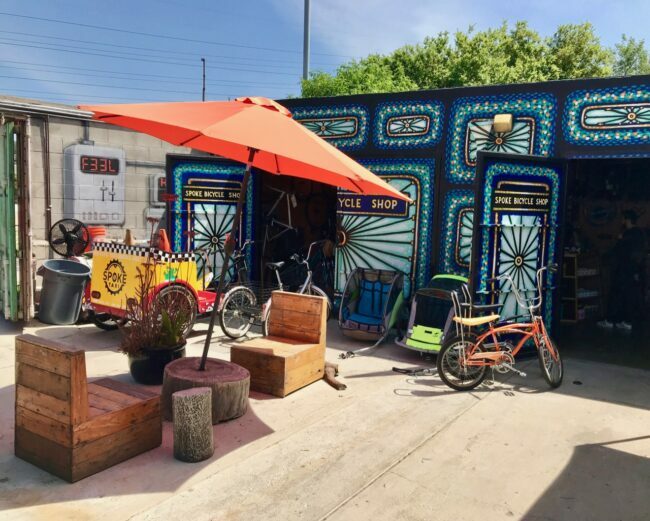 So put your pedal to the metal and get down to Spoke Bicycle Cafe. Hours: Tuesday – Thursday – Thursday 8 a.m. – 6 p.m. • Friday/Saturday until 10 p.m. Sunday until 9. p. m.